Choosing Low Foam Surfactants - J R Hess & Co., Inc. Foam is an important property when choosing a surfactant for your cleaning formulation or processing application. For example, in manual hard surface cleaning applications, such as vehicle care products or liquid hand dish wash, generating high foam levels is usually a desirable feature. This is because the presence of high and stable foam indicates that the surfactant is activated and performing its cleaning functions. Conversely, for many industrial cleaning and processing applications, foaming can interfere with certain mechanical cleaning actions and inhibit overall performance. In these cases, formulators need to use low foam surfactants to deliver the desired cleaning performance while also controlling foam levels. The purpose of this article is to introduce low foaming surfactants and provide a starting point for surfactant selection in low foam cleaning applications. Foam is caused by agitation at the air-surface interface. As such, cleaning actions with high agitation, high shear mixing or mechanical spraying often require appropriate foam control surfactant chemistry. Selecting a surfactant or combination of surfactants for foam control begins with analyzing foam measurements. Foam measurements are provided by surfactant producers in their technical product literature. For reliable foam measurements, the data sets should be based on well-recognized foam testing standards. Two of the most common and reliable foam tests are the Ross Miles Foam Test and the High Shear Foam Test. The Ross-Miles Foam Test evaluates surfactant initial foam generation (flash foam) and foam stability at low agitation in water. This test may include readings of an initial foam level, and then foam level after 2 minutes. It can also be conducted at different surfactant concentrations (i.e. 0.1% and 1%) and pH levels. Most formulators seeking low foam control place the emphasis on initial foam measurements. 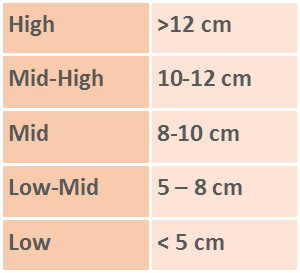 Using the Ross Miles test, low foam surfactants are defined as producing less than 5 cm initial foam height, or a break to less than 5 cm in 2 minutes. The Ross Miles standard can be found in ASTM D1173. The Ross Miles test is often favored by formulators due to its sensitivity to surfactant structure, active surfactant concentration and changes in composition. For high agitation mechanical processes, such as those processes where low foam surfactants are usually required, the high shear foam test can provide a very useful system of foam measurement. The High Shear method measures the ability of a surfactant to produce foam in simulated agitation environments (i.e. the “blender” test). The High Shear Test Method can be found in ASTM D3519-88. This test compares foam measurements with and without the presence of soils. The High Shear test also compares initial foam height to foam height after 5 minutes. Based on either of the above test methods, there are several surfactants available on the market that qualify as low foaming ingredients. 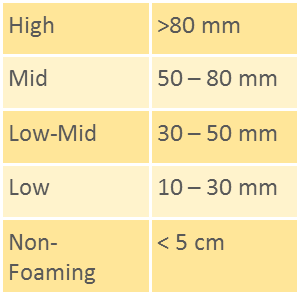 However, regardless of the chosen foam test method, a low foam surfactant must also possess other important physical and performance properties. It is important for formulators to balance these properties with the degree of foam control required in their application. To strike this balance, it is often necessary to combine different surfactants, thereby targeting both foam and performance needs, or select a low to moderately foaming surfactant with broad functionality. Low foaming surfactants include several nonionic and amphoteric compounds with a broad range of performance properties and application possibilities. It is important to note that these surfactants are not zero foamers. Instead, in addition to other properties, these surfactants provide a method to control the amount of foam generated in certain applications. Low foam surfactants are also not the same as defoamers or antifoams, which are additives designed solely for the purpose of minimizing or eliminating foam. Surfactants deliver many other essential features to a formulation, including cleaning, wetting, emulsification, dispersing and more. 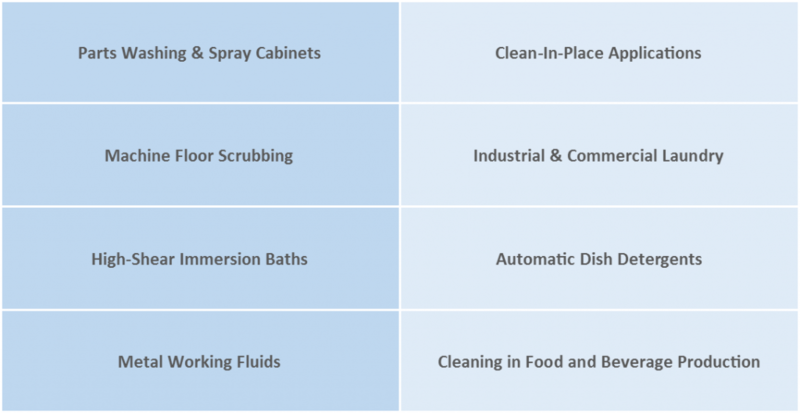 The following general surfactant categories are examples; but this list only scratches the surface of low foam surfactant technology. Specific product recommendations within each category will depend on factors that are unique your application. To discuss further, please feel free to contact us. New multi-functional amphoteric surfactants (i.e. Amphoteric 12), with very low foam profiles, deliver cleaning performance along with excellent environmental and safety profiles and compatibility with other nonionic, cationic, and anionic surfactants. Low foaming alkoxylates, with ethylene oxide (EO) and propylene oxide (PO) content, can provide excellent rinsing and spray cleaning performance for several high agitation and mechanical cleaning applications. Examples include: rinse aids for automated detergent applications, dairy and food cleaners, pulp and paper processing applications, textile chemistries, and more. Moreover, alkoxylates that are based on linear alcohols exhibit very low foam profiles and can be combined with other low foaming components, such as biodegradable hydrotropes, to formulate safe and economical cleaners. EO/PO block copolymers are known for excellent wetting and dispersing properties. Low foaming recommendations within this category can serve as highly effective emulsifiers for several industrial and institutional cleaning applications. Amine oxides with very low foam measurements are also known for detergent performance in cleaners and degreasers. When combined with low foaming amphoteric hydrotropes, amine oxides can be the surfactant backbone for many formulations in low foam hard surface cleaners and metal cleaning applications. Certain linear alcohol ethoxylates offer moderate to low foam profiles and can be used in a wide range of hard surface cleaning applications. These surfactants provide excellent detergency, wetting properties, along with the benefits of preferable environmental, health and safety profiles. Certain fatty amine ethoxylates are low foaming and can be used to deliver emulsification, wetting and dispersing properties in agricultural applications and thickened cleaning or wax based formulations. If you need to control the amount of foam in your cleaning application, we hope the suggestions in this article can provide a foundation for choosing a surfactant to test in your formulation. For foam data and compatibility information on specific surfactant compounds, we recommend consulting with the surfactant producer’s technical service department. And if there are any questions we can help with, please feel free to send us a note. Receive updates about new Surfactant Products and Technology from J R Hess Company.